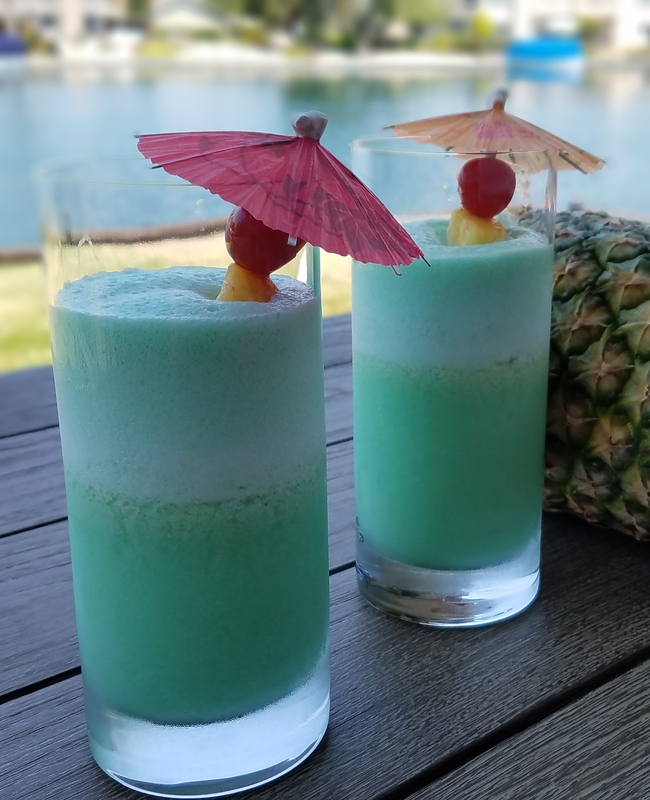 Combine rum, blue curacao, pineapple juice, crushed ice, and coconut milk in a blender until smooth. Divide coctail into two chilled tall cocktail glasses. Garnish with pineapple chunks and maraschino cherry. 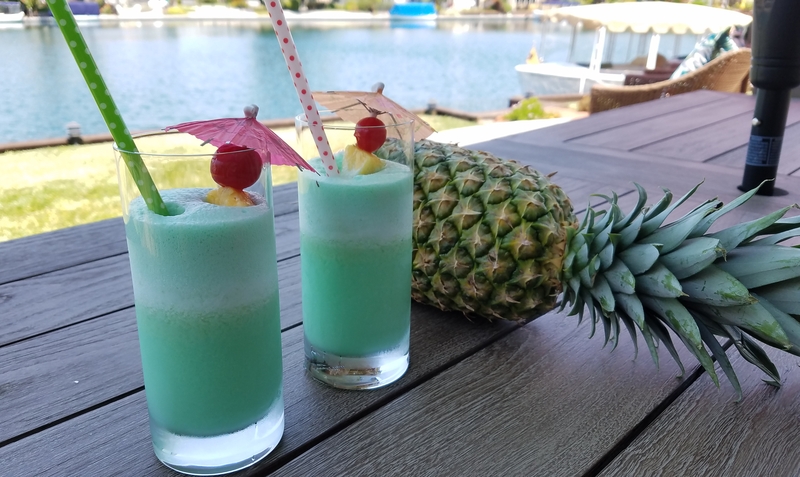 Note: Instead of using only canned pineapple juice, blend equal parts of fresh pineapple chunks with canned pineapple juice.